With each day the shutdown continues, it becomes increasingly likely the Fed won't taper until next year. When it comes to the government shutdown and possibility of a debt default, the Federal Reserve can't save the day -- but that may not stop it from trying to soften the blow to the U.S. economy. It is becoming increasingly likely the Fed will keep its stimulus program in place longer than many expected. Since last September, the Fed has been buying $85 billion in bonds each month in an effort to lower long-term interest rates, particularly on mortgages. Many economists once thought the Fed would start gradually reducing that program this year -- a process that has come to be known as "tapering." But now some are saying the Fed may wait another five months before it begins to wind it down. Here are three reasons why the Fed may keep its stimulus in place. Shutdown weighs on economic growth: The longer the government shutdown continues, the worse the impact will be on the economy. Economists at Moody's Analytics estimate the shutdown could cost the economy about $50 billion, if it drags on for three or four weeks. That's roughly equal to the amount of growth lost due to Hurricane Katrina and Superstorm Sandy combined. The impact becomes much larger if the debt ceiling isn't raised and the government defaults on its debt. "Lingering uncertainty - let alone a fiscal accident - would raise the chances that the Fed does not taper until next year," said Ethan Harris, global economist for Bank of America Merrill Lynch in a research note. Where's the data? Fed officials have stressed that they're basing their decisions entirely on economic data. If the data indicate that the economy (particularly the job market) is improving at a pace the Fed finds comfortable, they will slowly start reducing the size of the monthly bond purchases. If not, they will continue the purchases at full blast. But what if the data doesn't exist in the first place? Federal agencies like the Labor Department and Commerce Department are not conducting their usual surveys or releasing reports during the shutdown. When the Federal Reserve next meets on October 29-30, it may not have the latest data on either the unemployment rate or inflation -- the two key areas of the economy that the central bank is charged with managing. Now that the shutdown has continued into the second week of the month, it's possible the October jobs report will be delayed too. The Bureau of Labor Statistics usually conducts its surveys during the week including the 12th. The lack of data will "make it difficult for the Fed to assess the state of the economy at a time when growth is already undershooting expectations," said Craig Alexander, TD Economics chief economist, in a research note. "Our view is that the central bank will likely not taper asset purchases until early next year." Fed leadership changes in January: Some economists, like Deutsche Bank's Joe LaVorgna, still believe the Fed may taper at its December meeting. 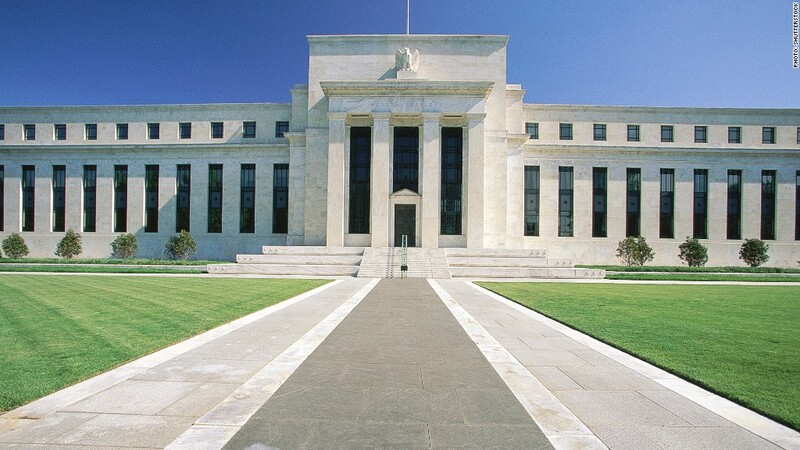 If it doesn't make the move then, however, LaVorgna thinks the Fed may hold off on any major decisions at its January meeting and wait until March instead. Ben Bernanke's term as head of the Federal Reserve ends on January 31. It's unlikely the central bank would want to implement such a big change in policy when a new chair is about to come on board, said Sam Bullard, Wells Fargo senior economist. Those aren't the only changes either. Three positions on the Fed's board of governors could be filled by newcomers, and four regional presidents will rotate into voting roles. This new team of policymakers isn't scheduled to have their first meeting until March 19. So investors might want to forget about an Octaper, Dectaper or even a Janutaper.